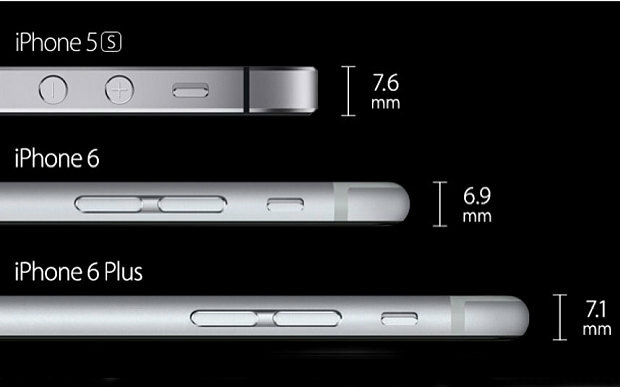 IPhone 6: when is more actually more? I’ve been travelling again and, upon my return, the iPhone 6 Plus I’d ordered was around, waiting and ready for me to collect. Now we’ve all heard the bend gate stories, the difficulty for Applephiles like myself to accept a ‘phone needs to be bigger than the previous versions. I took the plunge because the way I’ve used my ‘phone has changed. I make fewer and fewer calls. It is primarily my immediate access to the internet, to data, to information, to email, to my blog, to my online life. I take photographs and record my life in it. It reminds me to do things, tells me when I have not done things. It is my diary and notepad, my records, my books, my music player and my store of information. So, when i considered what I actually want my ‘phone to do and what I value it for, I was happy to reconceptualise it as a ‘phablet’. Once I’d made this leap, it felt less like a big ‘phone and more like a small but acceptable minicomputer. So how does this link to internal audit? Well I think organisations, and the profession itself, needs to reconceptualise internal audit. Less as an independent police force enforcing the organisational (and actual) law. Less in adversarial terms, less in a pseudo-scientific conceptualisation of right and wrong. So how should it be conceptualised? How can this be different? Is the internal audit paradigm moving on? If so, to what? Well I think internal audit is something more. It is not about laws, not about adversarial battle, but a form of independent internal consultancy. For a good internal audit is challenging of the management and leadership team, it is a genuinely difficult process, but not a negative one, a conversational, helpful, open, dialogue and debating one. For the answers to modern organisational problems are not easy to divine. If internal audit is risk based (and we are required to be) we should not be helpful to management to sort out the current problems (for those are issues), we should be moving the debate onto the future, the choices we make, the debates we need to have for tomorrow (risks). So should an organisation want internal audit as conceptualised now? No. I think organisations need to reconceptualise internal audit as above in a different way, as an internal, thoughtful, organisational challenge and consultancy. We need, as a profession, to make this leap too. Sure, most internal audit functions struggle to deliver consultancy work, we go to great lengths to differentiate it from audit (falsely in my view). We are steeped in rules, in checking and verification, not creative thinking, challenging, debate and have a naturally destructive and negative outlook on life. This does not need to be the case. We have the context dependent knowledge and, when suitably trained, the context independent knowledge to make a damn good job of consultancy. I am always surprised by others’ surprise, when the internal audit function comes up with an insight and is able to deliver a great piece of work. I think they have either experienced two-dimensional internal audit of the compliance kind, or have not really registered the level of business and organisational insight afforded to an internal audit function by default. Yet, audit teams I have worked in, with, and led, have been strong in their ability to deliver a unique viewpoint and insight. This is one that is borne of being a trained auditor. It is an insight fairly unique to internal auditors and a viewpoint that takes training to come to. It is this I look for in senior auditors I work with. This is not to say the management viewpoint is less valid, far from it, more that it is different. If the two viewpoints were similar then a good internal audit function would soon run out of insights, viewpoints, and value to add. This is not the case in my experience. The other lesson I wanted to draw from the iPhone 6 Plus is that, sometimes, bigger is better. I know long-time readers of this blog will say that this does not match my usual mantra of ‘less is more’, or ‘fewer is better’. I believe in generally higher quality and less in quantity. Sometimes, however, more is simply more. Like my iPhone 6 Plus screen that is excellent and bigger, internal audit in most organisations is just too small to provide enough coverage. Fewer days, even if risk based (and most risk based plans are really justifications for resource that is too small as the third line of defence), are just too few. Most businesses I have worked with and in are complex, and have an international component to them. You simply cannot audit them without getting into the detail and really understanding the real risks down ‘in the weeds’. Clearly there is a balance, and perfect should not be the enemy of efficiency, but most internal audit functions simply never get into the detail of the businesses they audit. So my two thoughts are first, that organisations and the profession’s stakeholders should not be disappointed in internal audit for not being like an historical conceptualisation of what the profession used to be. There is no point in judging internal audit as a ‘telephone’, when it does far more than make calls. Second and similarly, the profession’s current remit and responsibilities will in many, if not most, cases require internal audit to be, simply, bigger. <1% (and in many cases much less than that) of organisational spend on assurance is just not tenable in the context of most organisations, when that 1% needs to deliver assurance over the 100%. So like the ‘phone, due to our evolving needs, expectations and use of it, has evolved paradigmatically, so internal audit within organisations should and is. Let’s embrace this change and judge ourselves and be judged by our stakeholders as something newer, better, and more fitted to the modern organisations we work so hard to support. So I’ve been on a city break holiday in Europe. I had the pleasure of flying on a budget airline. 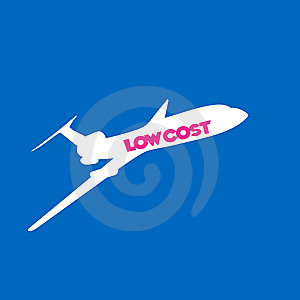 Not the cheapest airline but certainly in the cheap category. You get the idea – cheap flights means basic service, basic food, a take-it-or-leave it approach to flying. Now don’t get me wrong, it was okay. Sufficient. Adequate. Good enough. Now the core elements of a good flying experience were there. A clean plane, operated safely, with smart staff and some food available on board. Yet it fell short. It fell short of the more expensive airlines. Little things mattered in the experience: the food was basic with poor choice and not enough to service the whole plane; the luggage was a free-for-all as people had chosen not to put luggage in the hold; seat space was smaller with no extendible headrest; and the staff were just not able to really empathise with the experience of customers. I wondered whether this was because the staff had never really experienced ‘good’? My holiday was in Paris. This is a classy city by any global standards. The place has good fashion, the good looking people, good food, wonderful architecture, and really knows how to retail! So if you are a company with staff who have never received competitors’ better service and good service in their personal or professional lives, are they able to really deliver it themselves? So CEOs can introduce rules like ‘smile at the customer’ or make sure all customers are offered a drink etc. People are not rules-based, so good customer service requires cultural change. I think airlines are a bit like audit functions. Internal auditor’s customers only really receive one provider, like flying one airline all the time. So it is for auditors working in these functions. They do not really experience others’ versions of internal audit. That’s why, when a new head of audit is appointed, they change the function as a first port of call, because they refresh the perspective on the service and change it with that insight. I am reminded of another example of this issue with an email from the Scottish regional IIA of the UK IIA, inviting me to attend a training programme on internal audit reporting. I think my service’s internal audit reports are great, modern, helpful, well-written and focused. Yet what if best practice is much better or much different? It is difficult to tell, being locked into the day-to-day business of delivery of an assurance service. What if my service is just ‘good enough’? Well benchmarking helps, reading blogs and the work of others helps. I think the key thing is to have a good non executive chair of audit committee and management sponsor. I have been, and continue to be, lucky in my career to have the highest quality of people supporting me in these roles; really high quality individuals. These are able to really challenge and support the CAE in their role. I would like to think that internal auditors, and CAE’s, as hopefully good practitioners of the profession, are able to be objective and independent enough to put themselves into their customers’ shoes, to get a sense of their perspective and make their audits better than ‘good enough’. I hope and trust that I manage this too. So are you able to really empathise with those whom you work with? Are you able to know when good enough is not good enough?